Marissa Farrar: The Next Big Thing! The initial idea came from a dream, though the details of that dream allude me now. I just remember dreaming about people who had spirit guides in the form of animals. I've wanted to write a werewolf story for a while now, but wanted to put an original spin on it, and these two ideas just clicked together. Ooh, I love this question. It always helps me get the image of my characters straight in my head as well. There are two main characters, but I can't help but mention a couple of the other characters as well as they play a big part and some of the book is told from their POVs. One sentence - that's so hard! A scientist with an ancient legacy, and a man hiding from his past, fight to stop a Government Agency from using the paranormal to create an army to conquer the world. This will be self-published unless I get an amazing offer for the rights to the series! 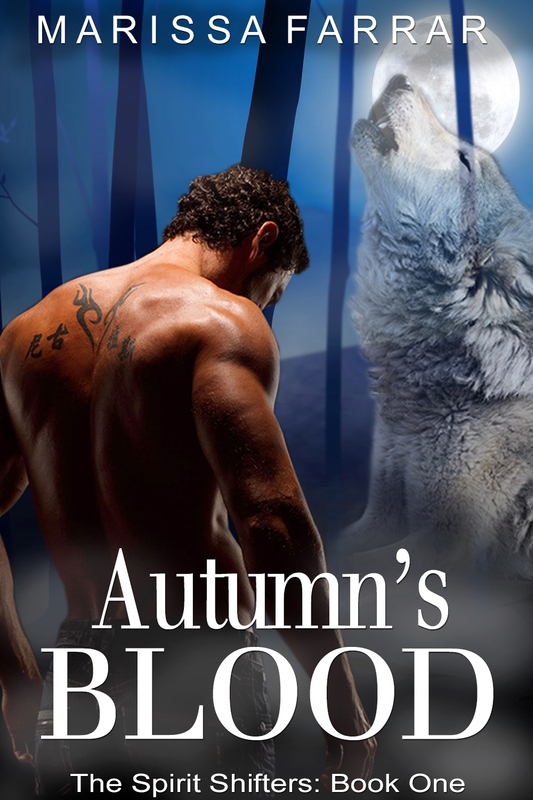 As I said before, I wanted to write a werewolf story, which I hoped would be the start to a new series. I wanted to make this series as different from the Serenity Series as possible, so while the Serenity series is essentially about three people, (Serenity, Sebastian, and Elizabeth) this series has multiple characters, government agencies, and is on a much bigger scale. I hope this will be the start of a five book series. The first three books are already planned! And now for my time to tag other authors! I'm going to be tagging Belinda Frisch, JoAnne Kenrick, Nickie Asher, and Cassie Rae! Thanks ladies! The book is written now and patiently waiting for me to start some serious edits very soon! I'm excited to watch it shape up into (hopefully) a great start to my new series! NaNoWrMo 2013 - Some (hopefully) Helpful Tips!